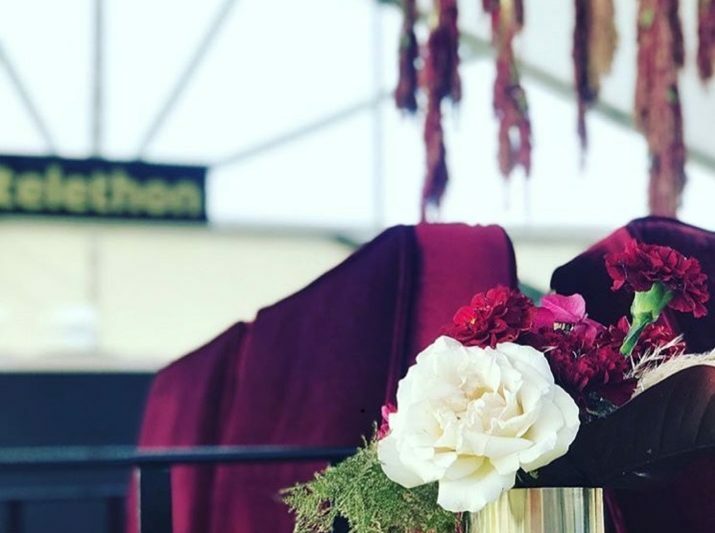 Undoubtedly the place to be is the exclusive Telethon Marquee, where you’ll be rubbing shoulders with Seven Network stars while relaxing in the stunning Amalfi Coast inspired alfresco garden lounge grooving to our live DJ’s sweet beats. Enjoy cocktail style food from the chef’s selection of the freshest local produce. The seasonal menu will impress you and your guests and includes quality wine, beer and soft drinks. Tickets are $250 and numbers are limited! Special guests will be announced on our Facebook page SOON! The incredible Qatar Airways Raffle is back! We once again offer you the chance of participating in this fantastic raffle. 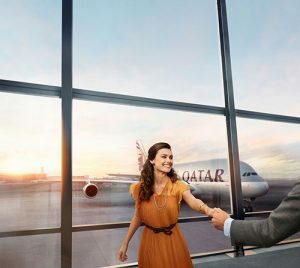 The prize on offer will send two lucky people on their trip of a lifetime, receiving two (2) Qatar Airways Business class return tickets from Perth International Airport – travelling to any one of Qatar Airways’ 55 European destinations. 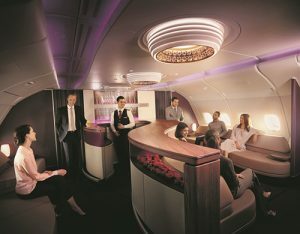 The winners will be flying in the A380 business class luxury, with access to the exclusive Sanctuary Lounge on the upper deck. Simply purchase as many tickets as you like for your chance to be in the running – there’s only 2,000 available! Not only could you win this amazing prize, all proceeds go to Telethon. Tickets are available now and at the Bentley Polo in the Valley event (unless sold out prior). The lucky winner will be drawn and announced at the Polo on 6 April 2019, however if the winner is not an attendee of the Polo they will be notified via phone immediately. We recommend smart attire, preferably no jeans and ladies should not wear stiletto shoes as these are not suited to the grass surface of the venue. No thongs please. There are strictly NO PASSOUTS permitted at Bentley Polo in the Valley so please ensure you bring in everything you need for the day. Bentley Polo in the Valley is located on Dale Road off Great Northern Highway Middle Swan using the entry to Houghton’s Winery. Once you enter, go past Houghton’s Winery Cellar Door and follow the traffic wardens instructions to the Polo field. Please make arrangements for a safe journey home, and don’t drink and drive. Please ensure that you bring your tickets and sun protection. No ticket, no entry. Bentley Polo in the Valley is a fully licensed and catered for event. The following items cannot be brought in – alcohol or illicit substances, umbrellas, glassware, cutlery, sharp knives, unsealed plastic bottles, eskies, professional cameras (small cameras are permitted) or anything that could be used as a weapon. All bags will be searched on entry by security staff and any contraband will be confiscated and donated to charity. Pop-up tents, tables and chairs are only permitted in the Picnic Bays. The prize includes two (2) return Qatar Airways Business Class tickets departing from Perth to any of Qatar Airways over 55 European destinations. Prize ticket must be issued by 28 February 2020 and commence travel by 31 May 2020. All applicable taxes to be paid by the prize winner. The prize winner must provide three preferred travel dates (inbound and outbound) when requesting a booking. Seats may not be available during peak seasons, school holidays, and public holidays, and are subject to availability. Blackout periods also apply (June – September 2019; December 2019 – January 2020;). The travel companion of the prize winner must be 18 years or older and they must travel together at all times. The prize does not include accommodation, travel insurance, passports, visas, meals, airport transfers, excess baggage or any other costs of a personal nature not stated. These will be at the prize winner’s own expense. The prize winner and travel companion will not accrue any frequent flyer points on the prize, nor will they have access to Premium airport lounges. Rerouting or date changes are not permitted once tickets have been issued. Qatar Airways takes no responsibility for any liability that may result from, or is claimed to have resulted from, the acceptance or use of this prize. * Destination London is excluded from this prize.